I grew up in church but don’t remember being taught much about the Old Testament until my early twenties. At that time, I went to seminary and joined a church that focused on expository preaching. One of the first sermon series I sat under in that church was on 1 & 2 Kings. To be fair to the many teachers I’ve had over the years, I can’t remember every single sermon I’ve heard. It’s just as possible I wasn’t paying attention when they did teach on the Old Testament. But over the years, I’ve observed a lack of focus on the Old Testament. Many churches lean heavily into sermons on New Testament books and rarely preach out of the Old Testament. Consequently, many believers don’t read or study the Old Testament because they don’t think it’s relevant today. I understand that a sermon series on Leviticus isn’t always attractive and that the Old Testament can be hard to read at times (that story about the Levite and his concubine in Judges 19 makes me squirm every time). But I’ve grown to love the Old Testament for the following three reasons—reasons why I believe pastors and church members should study and teach the Old Testament. 1. The Old Testament helps me understand the New Testament. The New Testament books are understandable on their own, but like all of Scripture, these books are not meant to be detached from the rest of the Bible. The Old Testament helps us better understand the New Testament. I’ve recently been reading through the Gospel of John with a friend who’s a new believer. As I’ve studied this New Testament book, I’ve come to realize how much more of John’s words I comprehend because I’ve read the Old Testament. Without the Old Testament, I wouldn’t understand why the Pharisees got mad at Jesus for healing on the Sabbath. I wouldn’t recognize the references to Old Testament stories such as Moses lifting up the snake in the wilderness (John 3:14), the manna from heaven (John 6:31), or the various Jewish festivals celebrated in John. I wouldn’t know about the Passover or understand why it was important. The New Testament is full of references to the Old Testament—from retelling its history, repeating its themes, and quoting its verses. When we read the Old Testament, we recognize the people in Jesus’ genealogy in Matthew 1. The high priest allusions in Hebrews make more sense because we know how the priesthood was set up in Exodus. And, in one of my favorite examples, the Old Testament helps us comprehend the significance of the temple curtain being torn as Christ gave up His life in Matthew 27. 2. The Old Testament gives me a comprehensive picture of God and His plan of redemption. The Old Testament is not just a handmaiden to the New Testament. It too, is a source of wisdom and knowledge. 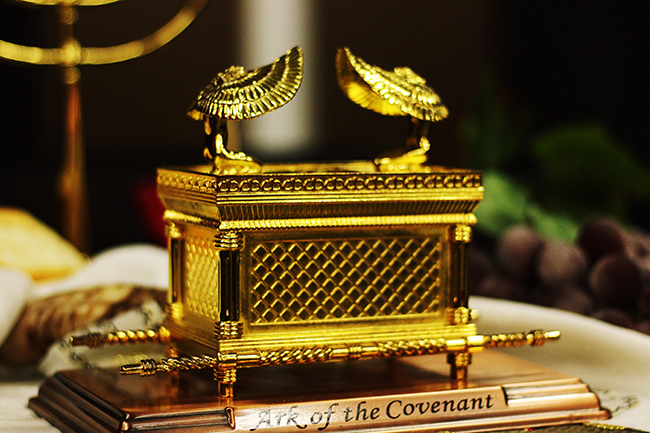 The Old Testament gives us the first half of God’s redemptive story. It explains how the world came about, why the world is broken, and how God planned to fix it. When we read the Old Testament, we see the need for a Savior to make all things right. We also gain a clearer and more full understanding of God’s character. Contrary to what some might believe, the God of the Old Testament isn’t just a God of wrath and judgment, although we shouldn’t gloss over that part of His character. The Old Testament also shows us God’s faithfulness, patience, provision, and grace toward His people and His desire for the nations to worship Him. 3. The Old Testament helps me better understand the world, humanity, and myself. 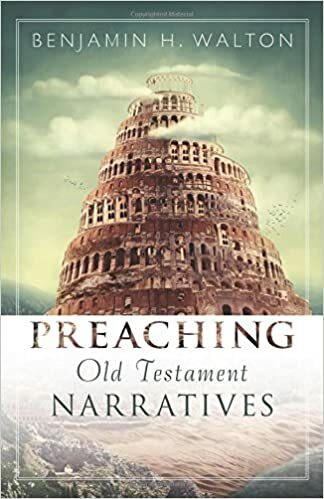 There’s something about the narratives found in the Old Testament—the stories it tells about the Israelites and other nations—that gives concrete examples of how sinful man is and how unfaithful God’s people are to Him. The more I read the Old Testament, the more I understand my own sinfulness. For too long, I’d read stories and roll my eyes at the Israelites’ fickleness: how Aaron commissioned the golden calf in Exodus (and then pretended as if he didn’t); how the Israelites repeatedly rebelled against God in Judges, only crying out to Him for help when He sent judgment on them; how Jonah was angry at God for sparing the Ninevites because Jonah didn’t think they deserved grace. The Israelites, I thought, were so ridiculous. God clearly told them how to live rightly before Him, yet they screwed it up time after time. But the more I read, the more I realized just how fickle I also was toward the Lord. I have God’s Word in my hands, but I’m unfaithful and sinful. I make idols out of the created rather than worshiping the Creator. I often try to go my own way, only turning back to the Lord when my way doesn’t work out. The stories of the Old Testament clearly demonstrate how sin has affected all people. It becomes a mirror that helps me realize how much I’m just like the Israelites. As I read the Old Testament, I realize how finite I am in all things but particularly in my understanding of God’s Word. No matter how much I read and study it, I’ll never be able to exhaust the knowledge it provides. There’s a lot about the Old Testament that can be confusing. But the great thing about the local church is that we can help each other understand the parts of God’s Word that may not make sense at first. We encourage each other to trust that the Lord’s wisdom is sufficient for us even in our confusion. So pastors, as you plan your sermons, teach your people the Old Testament. Show them how the Bible fits together as a whole. Help them understand why they should read and study the Old Testament. Tell them God’s story from beginning to end.